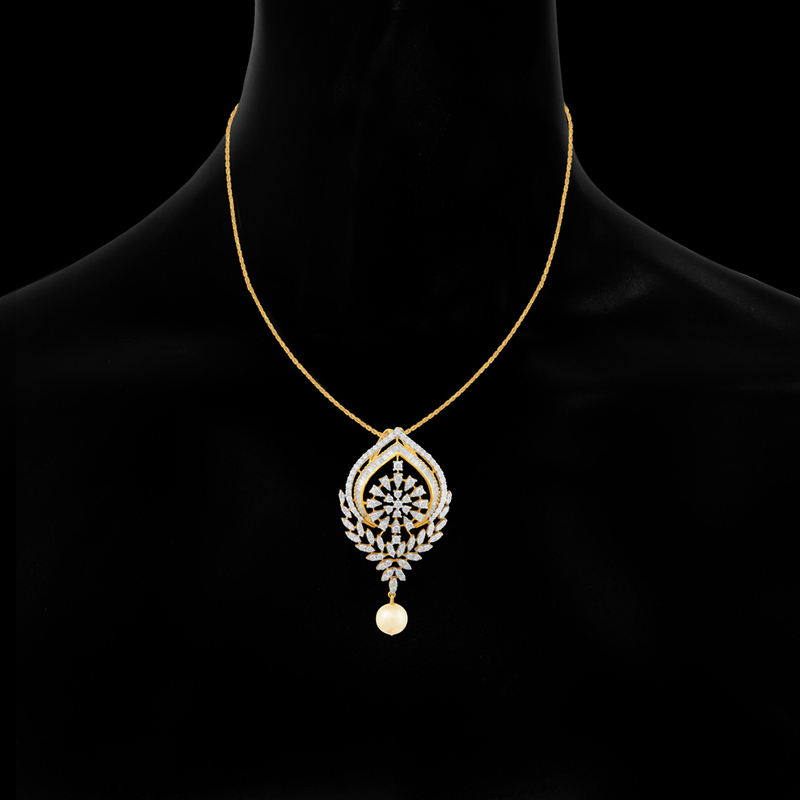 Sprakling Brilliance Diamond Necklace, made of 18 KT gold and 2.56 CT diamond, the Sparkling Brilliance Diamond Pendent is classy, modern and upbeat. It is so stylish that it can freeze all eyes to your neck without even trying. Be it an office party or a family gathering, you can always relish the wonders of this diamond pendent.